There are two big news coming out of Snapchat this morning. The first one is that the company behind Snapchat is changing its name from Snapchat Inc. to just Snap Inc. The reason behind this is that when the company was launched, Snapchat was its only product but now that they are branching out it makes sense to change the name to something else. 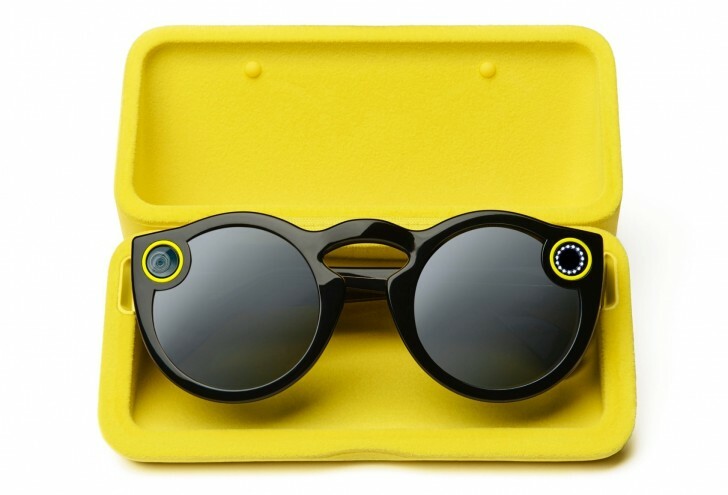 Speaking of branching out, Snap Inc. announced its second product today, and that's Spectacles. Spectacles are a pair of sunglasses that have a built-in video camera in them with a 115 degree view. There is also an LED indicator that informs others you are recording. They record 10 second videos, which are then sent over to your smartphone over Bluetooth or Wi-Fi, and saved in the Snapchat app. The unique aspect of Spectacles is that it records videos in circular format. You can play them in a circle in the app but if you make them fullscreen, they take up and entire display and the interesting thing is regardless of how you hold the phone, the video remains stationary and fills up the entire display. It's like having a portrait or landscape window to the world; regardless of the shape of the window, the view outside remains the same. The Spectacles come in three different colors and the battery life is claimed to last enough to take a day's worth of snaps on a single charge. The case that comes with the glasses are then used to charge them. The Spectacles have a distinctive design that is almost a bit goofy. Snapchat also refers to them as a toy, which is a smart thing. By not taking itself too seriously, it avoids the criticism that Google Glass received, and will remain a fun accessory that you use occasionally rather than as your main pair of sunglasses. No word on when exactly Spectacles will be available, and at what price.